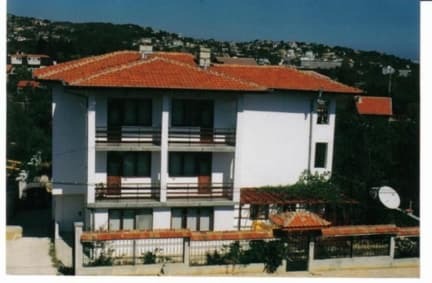 The cozy family Guesthouse Kalina is situated 1200m from the beach in the oldest Black Sea resort in Bulgaria. 'St.St.Konstantin and Helena' is situated between Varna town and Golden sands resort. These resorts are famous for their clean and warm sea, soft and golden sands, curative mineral hot water and century old forest which is up to the seashore. The favorable influence of the sea and the combination with mineral water and forest make this resort unique for climatic treatment. Guesthouse Kalina is suitable for everybody who is looking for coziness, silence and excellent home food. The family Guesthouse Kalina has 6 double rooms and 2 suites. 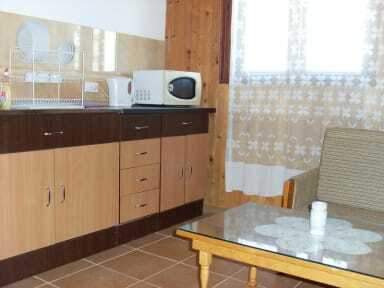 Each room has a terrace and a bathroom, TV and radio set. There is a snack bar on the 1 floor where you can have breakfast, lunch or dinner with delicious national dishes and fine Bulgarian wines.